"Want to share translated document with the team..."
Indeed, "Share by Email" is not so bad. A translated sentences would be shared quickly with the team by a setting to send automatically to Team ML (Mailing List) upon completion of translating. Feedback about mistranslated or brushing up might be obtained. However, it would not be happy that when a person who has received an email wants to reply, he or she must reply by email. Enterprise Social Networking is the mainstream for in-house information exchange, nowadays. The Workflow definition below, it is devised to post to [OpenChat], which is an Enterprise Social Networking of Questetra, upon completion of translating. 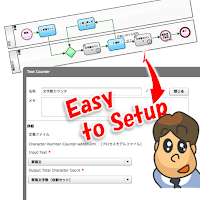 It allows co-workers to Like immediately on a High-quality translation. A Creation flow for these drafts ought to be devised to record (not only "Number of characters", also) "Hash value" automatically. I definitely want an Auto-step icon that is needed in this business! 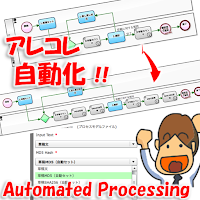 Everybody who designs Business Processes (Modeling) tends to desire to automate various processing. 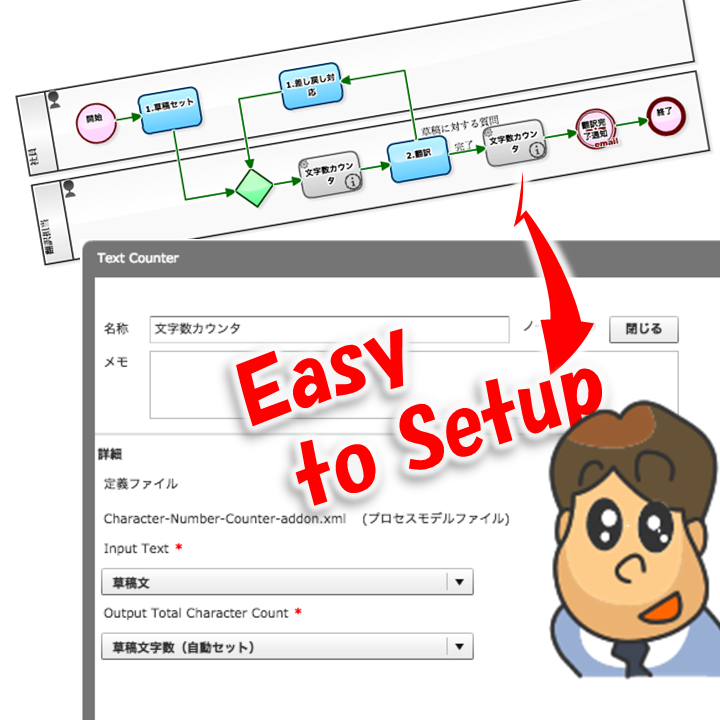 In version 11.1 of Cloud-based Workflow, "Questetra BPM Suite", which we are going to release at the end of August 2016, you will be able to use additional Auto-step icons. More specifically, your original auto-step icons will be available by; obtaining packaged "Add-on XML" and importing it as Additional feature file (Process Model file). 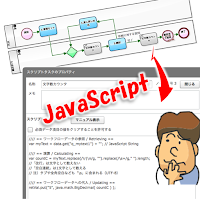 Whereas, it will be also capable of creating yourself, as you can guess from the words of "Add-on XML". 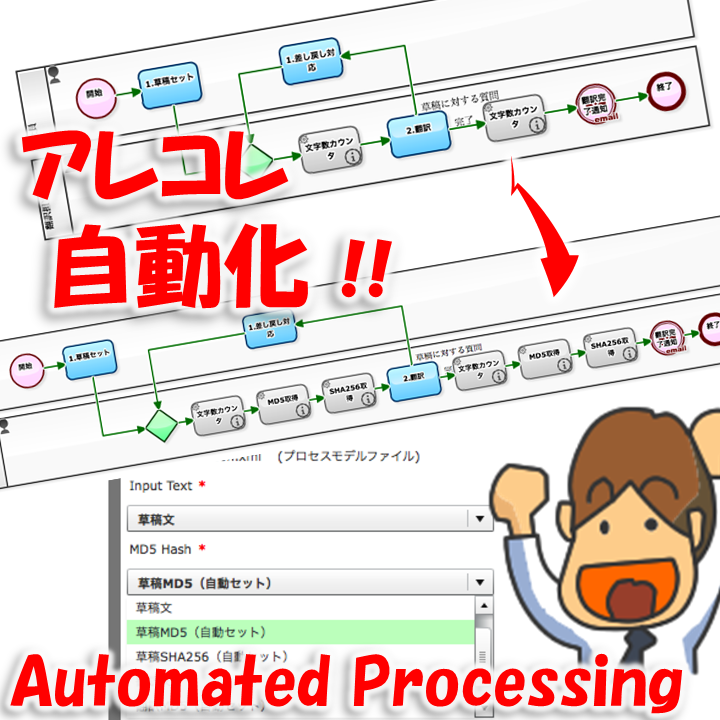 The following is the same "Translation Process" workflow that I have introduced you in the last post. 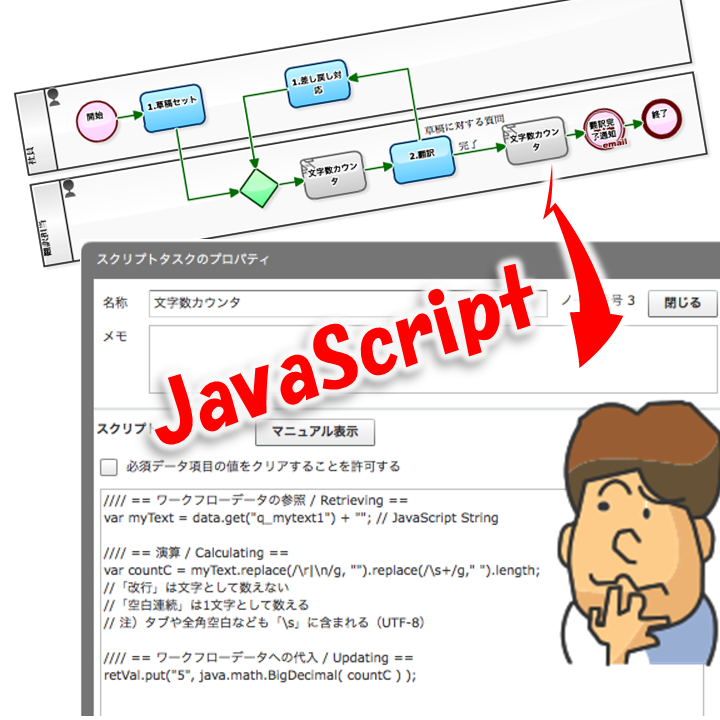 And in which I made a substitution to &#91;Script Step&#93; with self-made &#91;Auto-Step&#93;. Want to record the "number of characters" of these automatically. 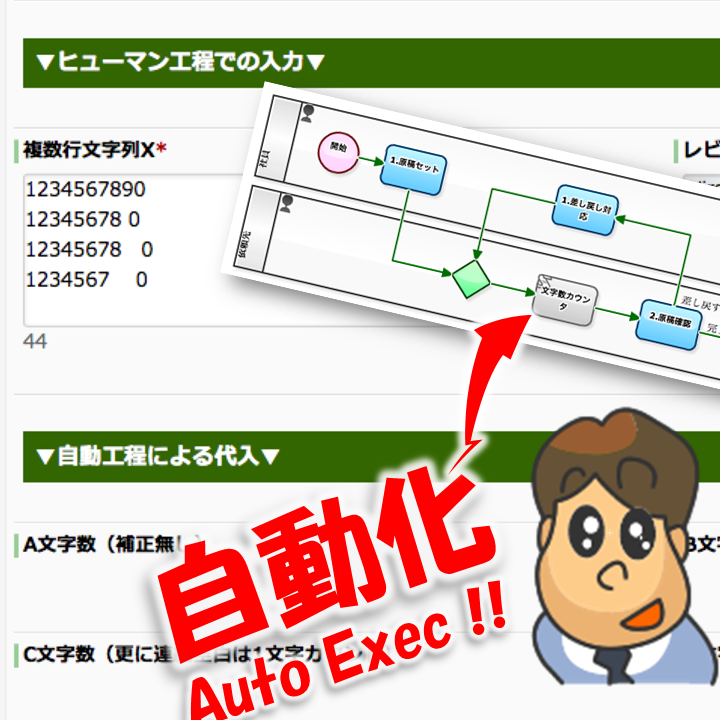 In "Questetra BPM Suite", a Cloud-based Workflow, you can easily add automatic processing of the following, since Auto-step icons have been incorporated in it in advance. Processing a particular "Business data"
Converting a particular "Business data"
Retrieving the number of characters as a property of a particular "Business data"
However, it won't do for a "Processing that is more unique" even a little bit.